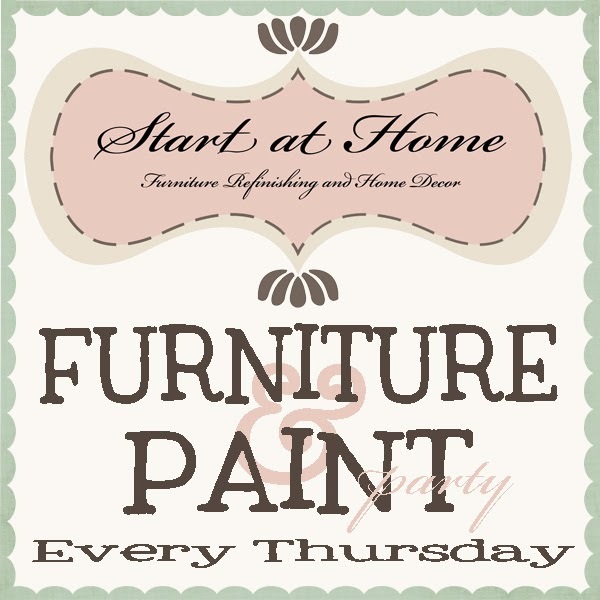 Furniture and Paint Party #25 & Happy Thanksgiving EVERYONE!!! Thank you to everyone for your well wishes and understanding last week! One of the best parts of blogging is making new friends!! 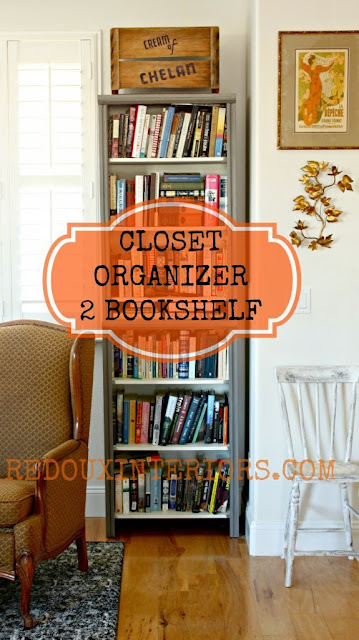 I love this idea by Redoux Interiors, who would have thought closet organizers would make such great book shelves?? I love the distressing on this piece by Alchemy Fine Living, and it is done with a stain. I am guilt, my glazing with a stain has never looked this good! Ahhhh, I am always a sucker for signs, I am in love with this one from Church Street Designs, PERFECT!!! 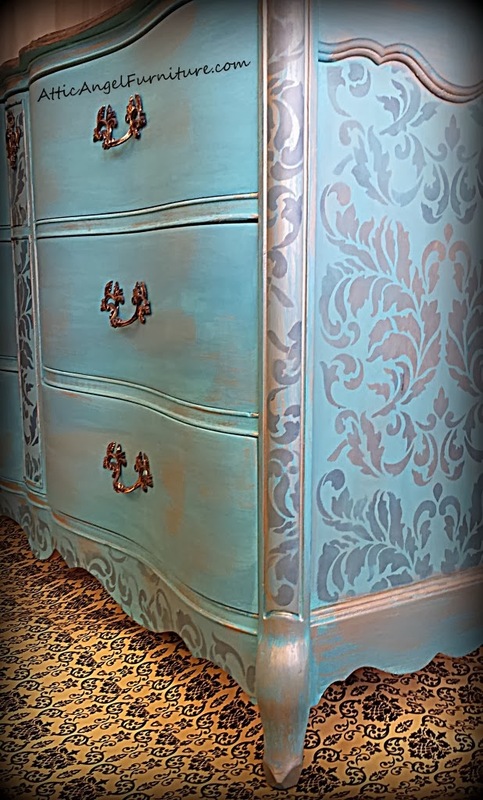 What an stunning dresser by Victoria's Vintage Designs. I love the 2 tones and all the details! 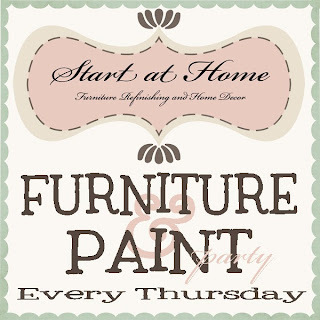 Here is my Furniture and Paint Party Pinterest board, Check out all the Features from the Furniture & Paint Party!! 1) Only Furniture and Paint Please!! 3) Follow me somehow, I am not picky! 4) Link back to this party using my address or my button on the sidebar. If you don't link back I wont feature you. 5) I love to Feature your awesome work, I will pin all featured projects, and I also share a few on my Facebook page each week! 6)Visit others, make new friends!! 7) Have fun, and THANK YOU for joining! When I first got this bench it was a little weathered to say the least! It SOAKED up the primer like crazy. I think I used an entire quart on this bench!! 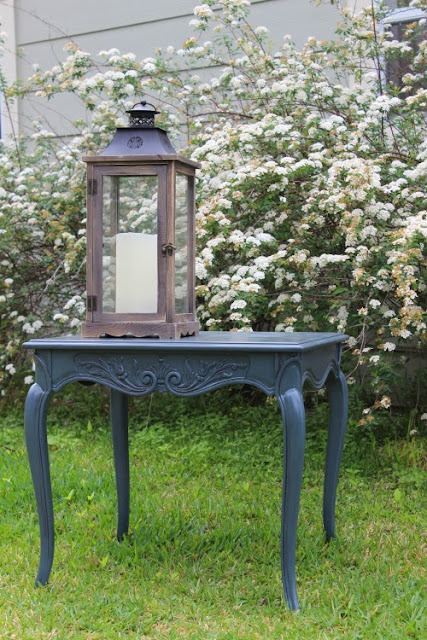 After I got it all seal up I applied the paint, I love this color it is so neutral and perfect for outside! It soaked up the paint fast too....this was on thirsty bench! 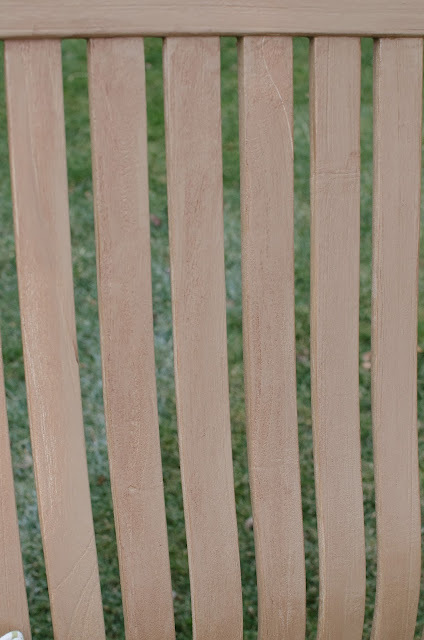 However I do like when wood soaks up paint, it chips less!! I loved how well you can see the wood grain I added a glaze over the top to help the wood grain stand out even more! 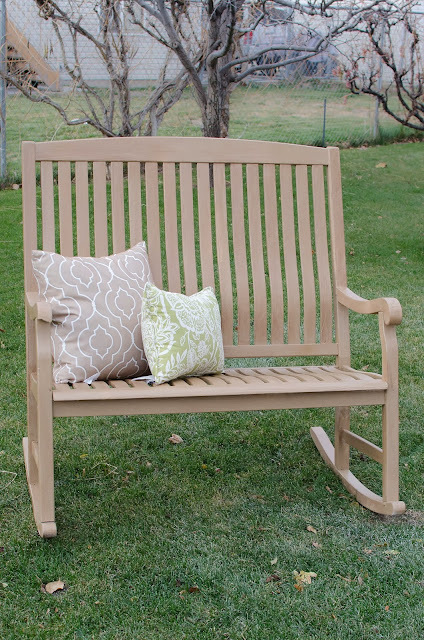 I top coated this bench with a Spar Urethane as it holds up much better outside.....Add a few pillows and this bench is ready for a new home!! 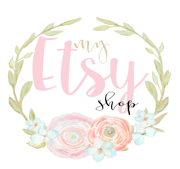 A little Announcement and Link Party! I guess I can't hide it anymore.....Baby #3 is in the COOKER!! We are super excited for this new addition to our family. Unfortunately for me morning sickness has arrived and doesn't seem to be making any effort in letting up. I have been so hesitant to tell anyone as I miscarried a year ago, but I can't seem to hide it anymore, my daughter is telling everyone her mom is always sick and I must apologize for my lack of posting. I have missed blogging more often but right now I need to take care of myself and my family. I will still be having my Furniture and Paint Party! I love to see what everyone has been up to while I lay in my bed!! I will just be posting a little less as I am moving much slower! I am 10 weeks along and everything seems to be going good this time! FINGERS CROSSED. Now on to the PARTY!!! I am very proud of myself I actually have a project this week!! I have some awesome features this week I am so excited to share with you!!! 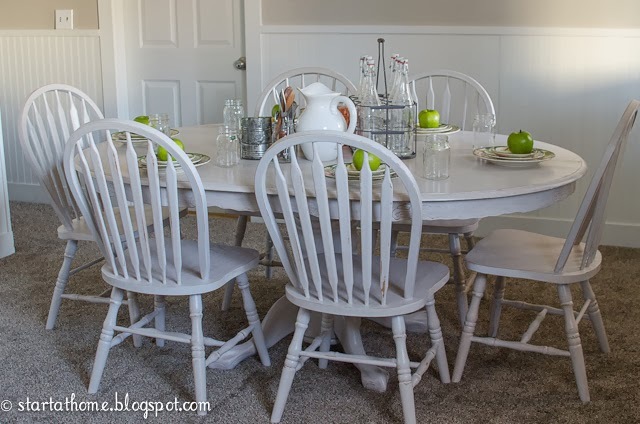 First up this cute table and chairs from Spittin Toad, and I love the chalkboard top perfect for my toy room....I NEED IT!! 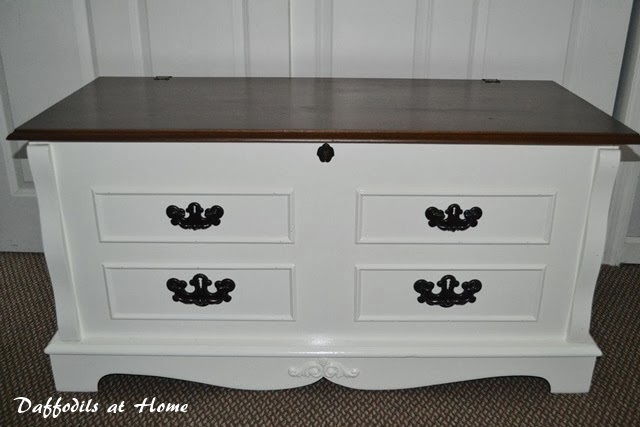 I am amazed by this dresser and the design by Attic Angel Furniture it is timeless. 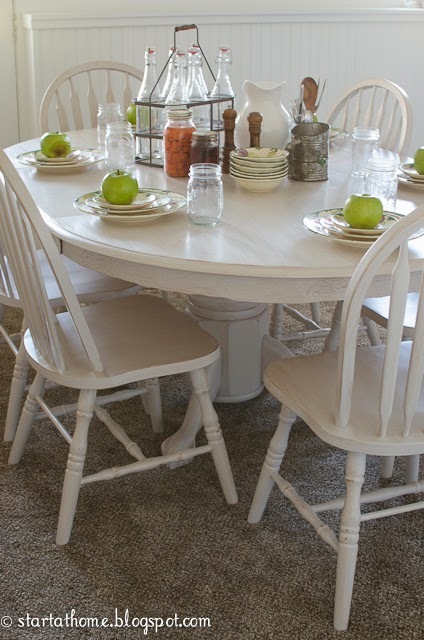 This table has beautiful details and I love the paint color the Weekend Cowgirl chose! 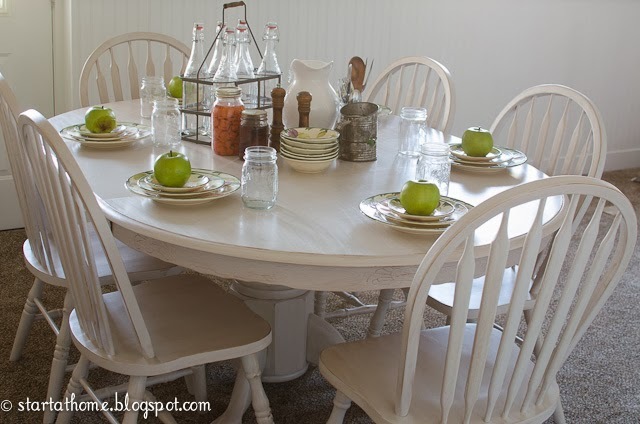 This table is so fun, I love the design Victoria's Vintage Designs painted on it!! Pedestal Table with 6 Chairs!! I love Pedestal tables after they are painted! My husband usually finds my furniture for me, as I always seem to run out of time. Trying to balance being a mom, wife and fitting in refinishing furniture at times can often be challenging. But painting seems to be my escape I need and keeps the wheels in my head spinning! 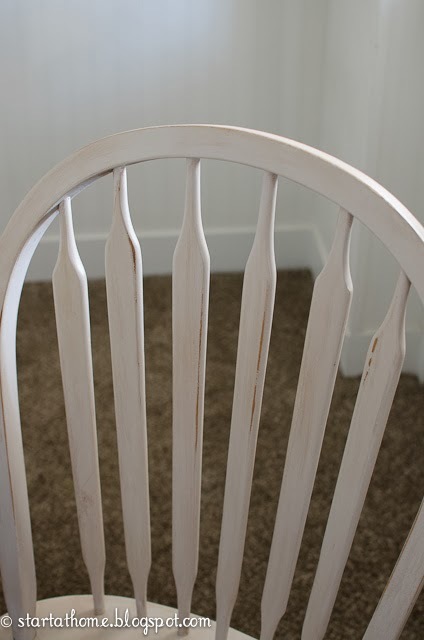 I don't love to paint chairs, they are so time consuming and I am always worried about my paint running on the spindles! 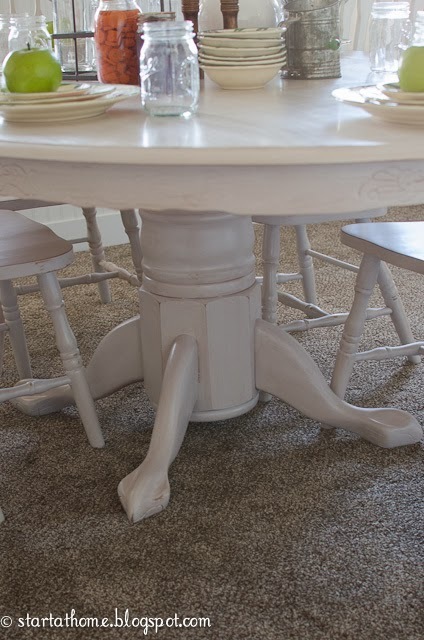 However my husband LOVES to buy pedestal tables, probably because they seem to sell well. 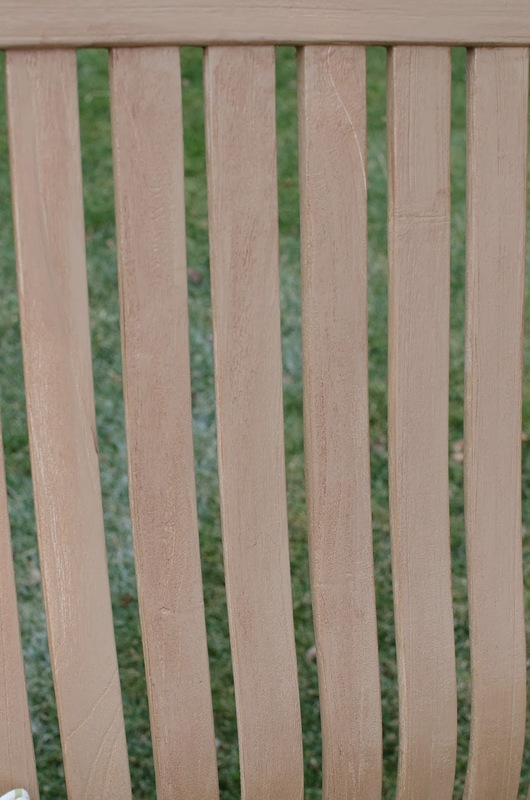 As they are very versatile and without the leaf they are great for small spaces! 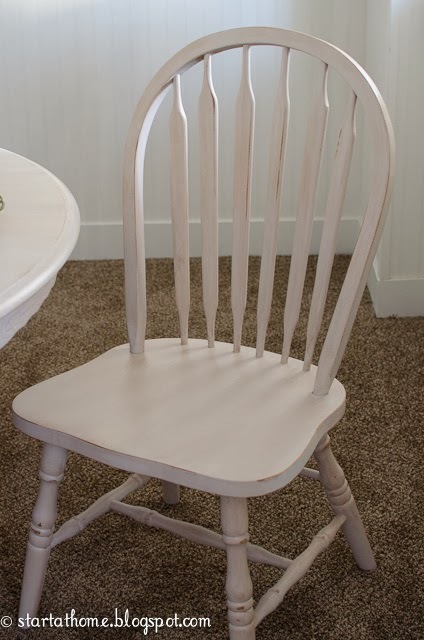 Even though I don't love to paint chairs(I don't hate to paint them either they are just not my first choice)I always love the outcome! 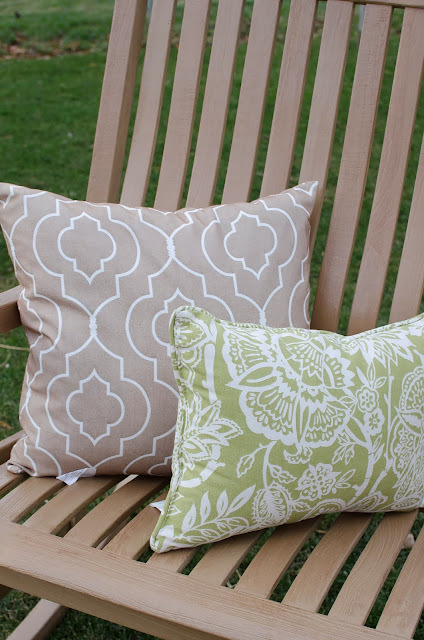 They are so pretty, and this style of chair is stunning painted! This table is a soft Taupe color with a brown glazed wiped all over. I also distressed this table to add character and help with wear and tear. Tables are one of our more used pieces of furniture and seem to take the hardest beating. 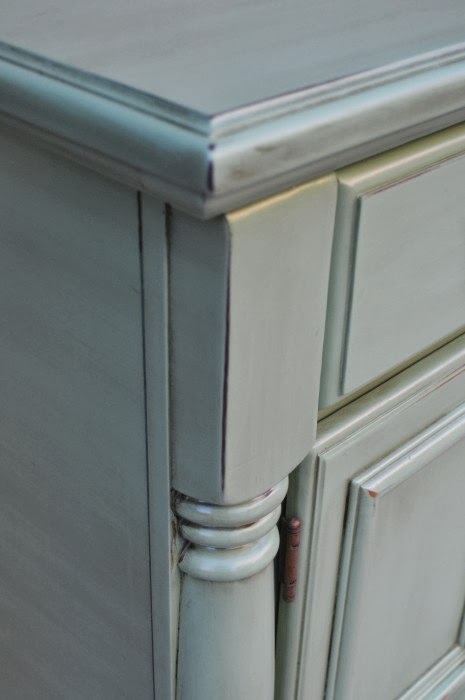 With a piece being distressed when it gets dinged it isn't as noticeable and blends into the current distressed look. This table always has a fun stamped design on the apron of the table, it really adds a sense of elegance. This table is for sale please see my Furniture For Sale Tap at the top of the page for my details! I am hoping to be feeling back to normal here before long, fingers crossed. I have so many things I need to get done, they all seem to be calling my name louder each day. I forced myself to top coat a beautiful table today and when I went down to check on it....I found dog paw prints ALL OVER IT!! My heart sank.....BLAH!!! I don't have a paint project to share this week but I am sure these amazing projects will be enough!! Let's get this Party Started!! Look at this card cabinet by Pneumatic Addict Furniture. What an amazing and fun piece. 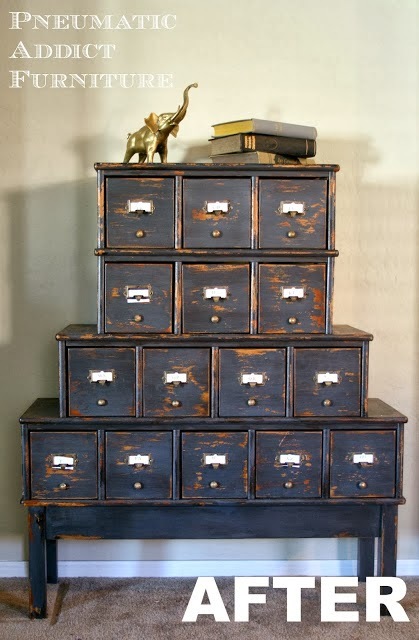 I could do some serious organizing with a piece like this! You know I love hutches. Look at this beauty by DIY Beautify, I love the different colored back drop!! 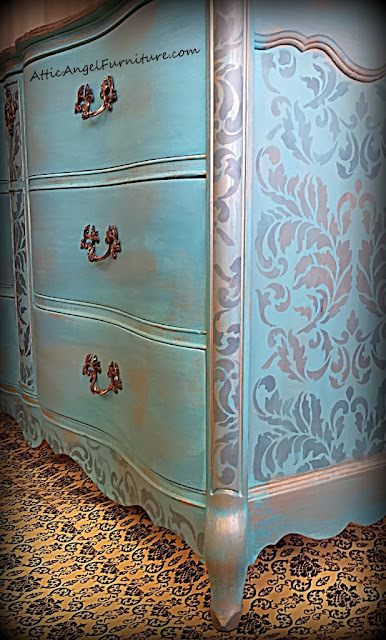 I love the color of this dresser by Art is Beauty! The wood top is so rich and beautiful. 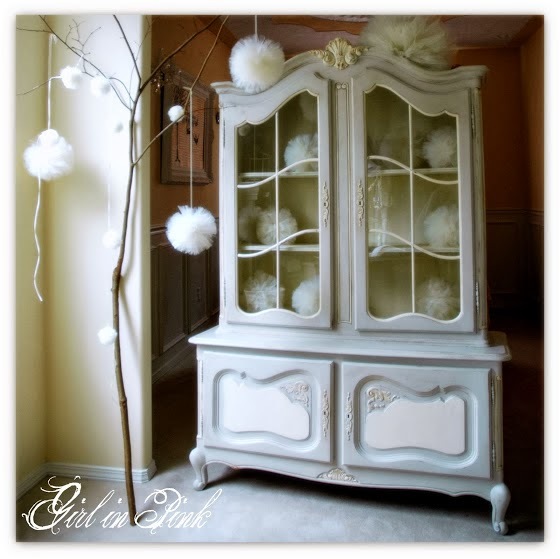 and look at this amazing hutch by Girl in Pink. It is beautiful I love the contrasting colors and all the cute pom poms! I have so many things on my To-Do list with the Holidays around the corner and instead I find myself not feeling too hot, which puts a major damper on my plans. Who has time for sick days?!?! I must apologize for my lack of posts recently I promise I haven't forgotten you, I am a just bit behind. I do have to say it was a lot harder than I realized to get started. I was embarrassed to realize how little I really knew about my body and what damage I was doing. For Example: Dr Pepper and Peanut Butter M&M's are not a great Lunch choice??!! Who would have thought? I set out to learn how my body worked and what it really needed to function. I read a few books and started going to a great gym with a trainer on duty at all times to push me and track my weight loss as well as eating. I am not perfect at this yet, as I am sure it will be a life long pursuit to truly learn how to eat heathy. But it is getting easier and I am so happy with the results so far. Not to mention I have so much more energy! However, the best results are my family is eating better too, my daughters like their vegetables and my 4 year old often asks, "Mom is this healthy for me?" Sometimes she even asks, "Mom, how many calories have you eaten today?" (maybe I talk about that too much?!) I am happy at such a young age she is learning how important eating healthy is!! 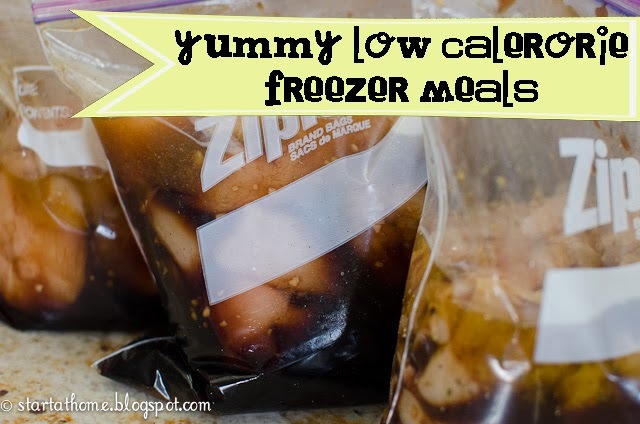 I have always loved having freezer meals for those busy days or in my case sick days. I revamped a few of my freezer meals so they are much healthier I thought I would share a few with you today. To cook: I pull mine out in the morning, as it thaws through out the day it is also marinating. I serve the Teriyaki Chicken over brown rice and we have steamed broccoli with it! Yahoo it is time for another party!! I hope everyone has had great week and hasn't eaten too much Halloween candy, I am slightly guilty of eating WAY too much of my kids candy, I like to call it the Mom Tax! 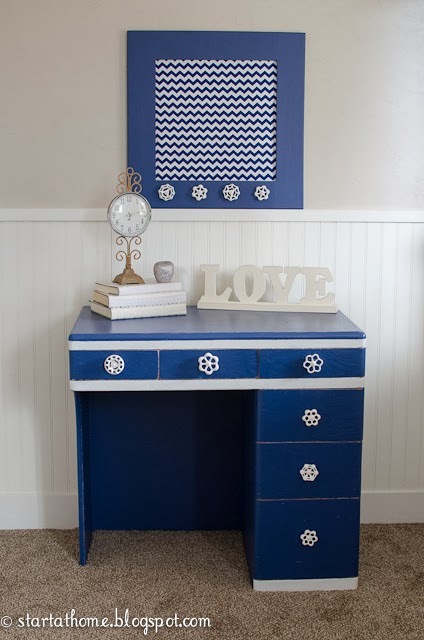 Here is my Paint Project for the week....a FUN NAVY DESK!!! This was my first go at Navy and I love how it turned out! 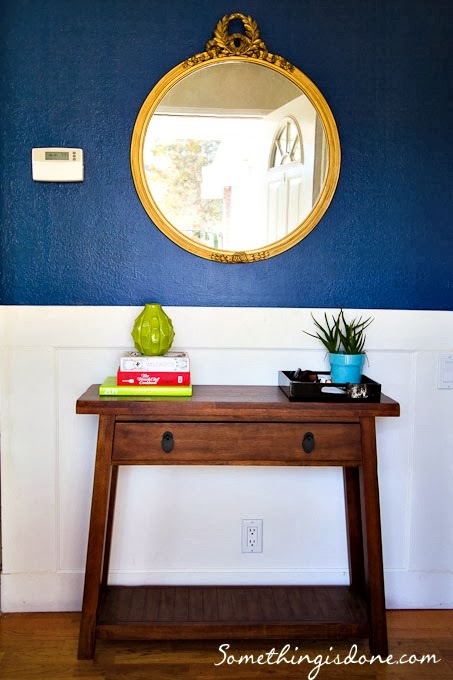 I am loving Navy and Gold these days and this entry way by Something is Gone is no exception. Who wouldn't love to come home to that!! I LOVE LOVE LOVE old vanities, I really want one and every time I think I have found one it somehow slips through my fingers. This vanity by Attic Angel makes me want one even more! Look at the design underneath! STUNNING! These nesting tables by The Interior Frugalista are so elegant and I love the deign on top she hand painted. I love how clean Daffodils at Home made this piece. I love the wood stained top and the glossy white! Beautiful!! 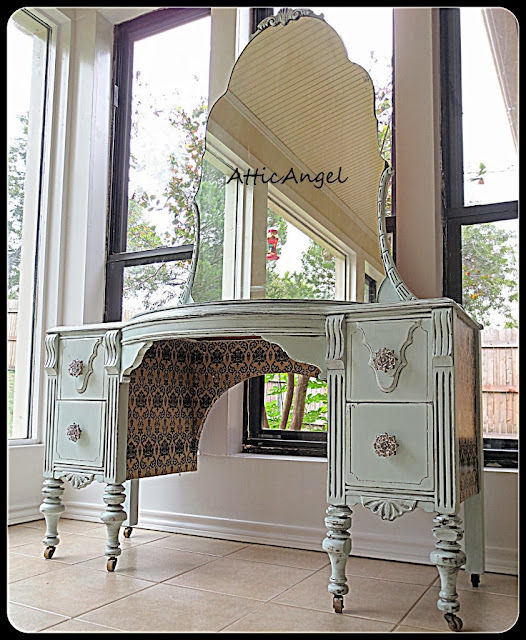 And Last but not least ANOTHER amazing vanity by The Shabby Cottage Home! There is an entire bedroom set that goes with this beauty on their blog, and it is all as beautiful!! Hi I am Brooke from Start at Home. 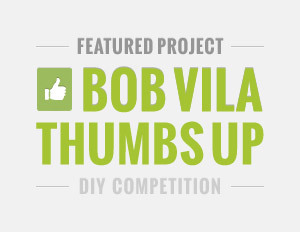 I am a stay at home mom to 3 cute little kiddo’s and an avid DIY’er who is always up for a challenge. 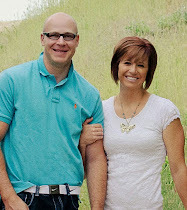 4 years ago my husband and I bought a fixer upper, and little did we know it would change our lives forever. Since then I have taken over the garage with all my furniture, odds and ends and paint. It is now known as my “hobby” that is out of control! 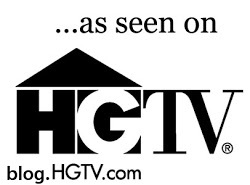 I love to blog and share my every day experiences as well as show case my love for furniture and interior design. 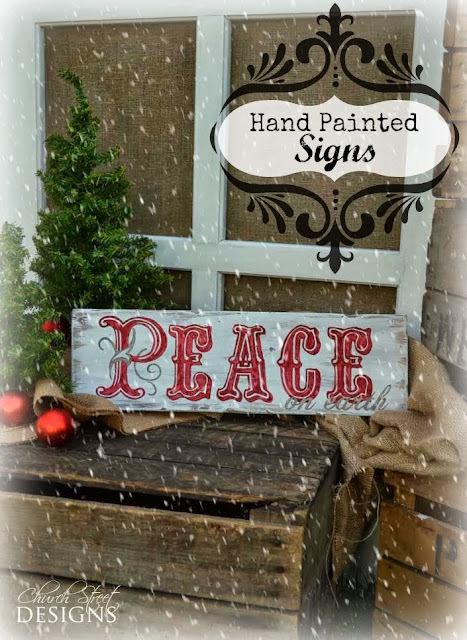 What started out as a way to furnish my home and snowballed into a small, ever so small business! I never expected to be where I am today but I am enjoying the ride, and trying to keep up!! A little update on the Basement! 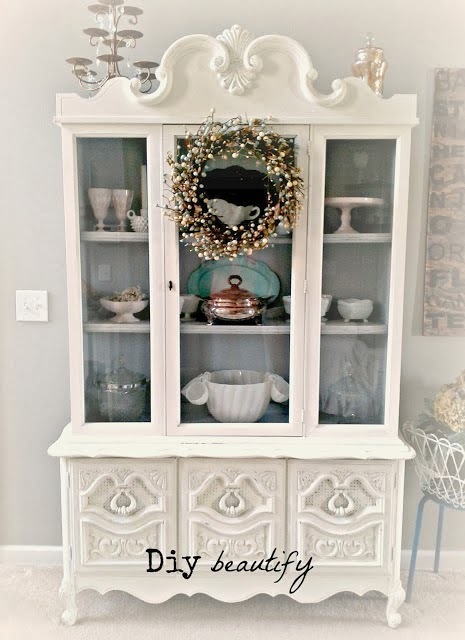 How I Refinish with Chalk Paint!